Hey everyone, hope you're well! 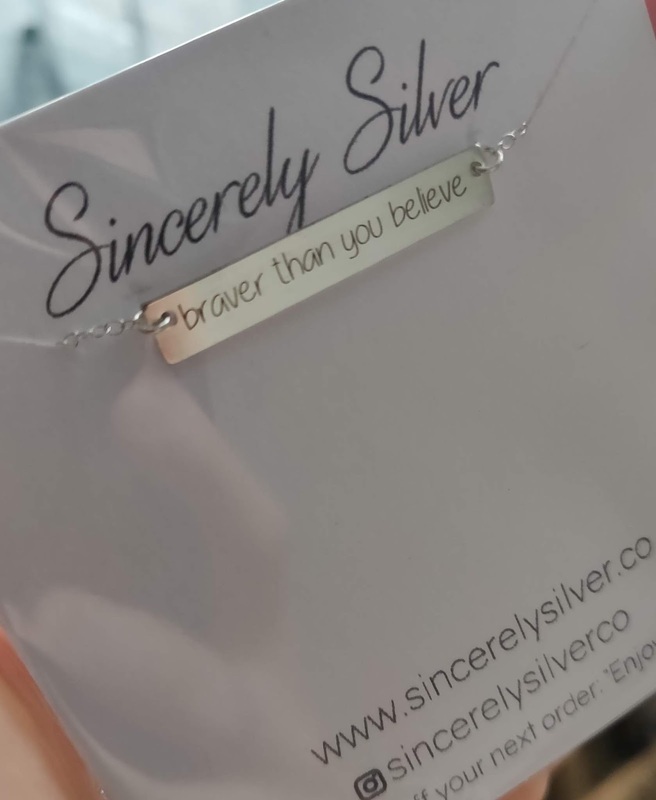 I have a special post for you today, I have teamed up with Sincerely Silver who has kindly gifted me a necklace in return for this blog post, but with a very inspiring message. When I received their email they explained that their goal at Sincerely Silver is to empower women and they believe that there is strength in every woman's story and so they wanted to share my story. I got to choose a piece of jewellery that stood out to me and spoke to me in a meaningful way, and one that would help tell my story. Sincerely Silver is a company who make personalised jewellery for women - and they have so many different options by the way, it's amazing! You can choose from various styles of necklaces may that be handwriting necklaces, name necklaces, fingerprint necklaces, animal necklaces, outdoor necklaces and so many more, you can choose personalised bracelets and rings, and they also have a gift section too, may that be for anniversary gifts, bridesmaids gifts, gifts for mum or occupation gifts. Have a look around their website here. 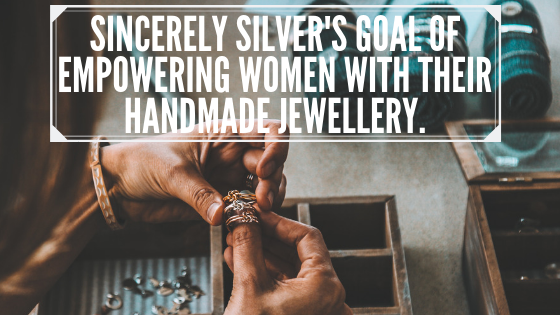 As I mentioned above Sincerely Silver have the goal of empowering women with their jewellery, they want to redefine what it means to be a feminist as there can be a lot of bad press out there on feminism. They want to focus on individual stories of women, and bring back the positivity of feminism - you can read more about it on their blog post a history of feminism. I decided to go for the Personalised Hand writing bar necklace for a few reasons. The handwriting style is something that I thought looked beautiful and the process for the personalised message is that you can write down your message on a piece of paper, take a picture of it and then email it across to Sincerely Silver and they will use that on the piece of jewellery which is pretty cool. I went for the sterling silver over the gold or rose gold just because I wanted it to look simple, eloquent, and something that goes with basically anything I'm wearing, and also I'm a fan of silver jewellery. But the silver, gold and rose gold all look super pretty! When Kayla at Sincerely Silver got in touch with me and asked what message I would like, she told me to choose something that would empower me and tells my story. I explained that my all time favourite quote is from Winnie The Pooh - "Promise me you'll always remember, you're braver than you believe, stronger than you seem, and smarter than you think you are." This is a quote that always inspires me. I think we all are hard on ourselves, and more often than not we put ourselves down and only concentrate on the negative things going on in our lives. This can lead to our self-esteem feeling low, and therefore decreasing our mental well-being. For me personally, I struggle with my self-esteem and self-belief and so this is something that I'm constantly trying to work on. It wasn't that long ago that I had a workshop session at work where we were talking about our own brand awareness, and I was asked what was something that I struggle with and need to improve on. I told everyone in the room that I need more self-belief and confidence and it kind of turned into a little counselling session for me. I'm definitely a pessimist rather than someone who is always optimistic about things. I often surprise myself when things actually go well because I'm always so negative about everything! Hence why I'm always so overwhelmed and can't believe it when people are so lovely to me about my blog. You'd think I'd believe in myself more seeing all the lovely comments and the encouragement and support from the blogging community, and my family and friends. 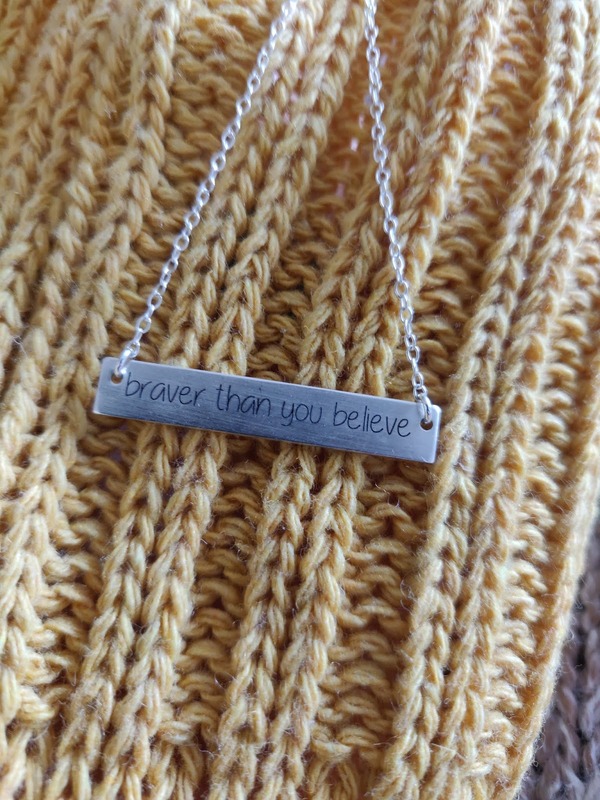 Hence why I decided to choose a part of the Winnie The Pooh quote for my necklace, I knew I couldn't have the whole quote as it would have been too long so I decided to go with - "Braver than you believe." Which goes along side me trying to work on my self-belief and pushing myself outside of my comfort zone. 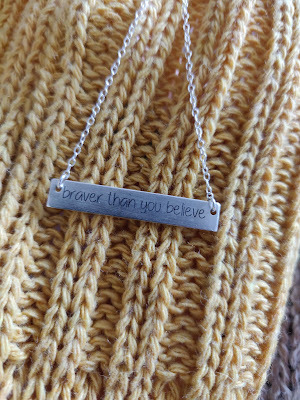 Since I have had the necklace I have always been wearing it, and I think it's nice to know that I have this inspiring message around my neck to always remind me that I can do anything that I put my mind to, there's no one to hold me back except for myself, and if I just believe in myself more I know I can do it. To me, that's an empowering story! Check out more of Sincerely Silver yourself over at their social accounts and their website where you can have a look at all the different pieces of jewellery they have to offer. Hey everyone, hope you're well! Today I have a guest post written by the lovely Marie, she talks about her struggle with anxiety, she goes through her journey from almost a year ago of everything she went through, how it affected her life, what life is like now and what she has learnt from it. When it comes to the matter of anxiety and how we handle it varies from person to person. We all have stress and different things that triggers all different types of anxiety and depression. I have my personal story of what happen almost a year ago and I would like to share it with you guys. My name is Marie Boles. I am a mother of 3 wonderful kids. I have a degree in web design and development. My web design passion relates to me starting my lifestyle blog the beginning of January 2019 called Dare to Discover Life. Next to understand how my anxiety story started you need to be able to understand this one part. One of my children is Autistic. His name is Bain and he is a bright wonderful child who is full of personality. I have researched and have found that’s its not uncommon for parents of autistic children to begin to feel isolated themselves. A lot of us start to do it out of fear and knowing a lot of people around us will not accept our children that are autistic because they are different. The child can have meltdowns in public and when that happens the parents tends to at times isolate themselves and their child away from public eye. I was that mom, scared to take her child out in public in fear of a complete meltdown that we can’t control. One day I was driving home from my in-law’s house and everything just hit me. I realized that I was having trouble driving and that I was overwhelmed with fear to even drive! It felt like I was having a panic attack. Let me say this, having a panic attack while driving is the worst time ever!! Especially when I have my kids in the backseat of the car. This was unusual for me because I have drove across country when I was only 16 years old. I always enjoyed driving and driving at night didn’t phase me. We made it home and I emotionally calmed down. Next thing that I did was analyze what just happened and I came to the conclusion that I needed to see my doctor because I couldn’t be afraid to drive and be having panic attacks with my kids in the car with me. Talk about being unsafe. The next morning, I made an appointment to go see my doctor. I knew that night driving home that I needed to be seen out of the safety for myself and my kids. Once at the doctors appointment I explain to her what happened and my fears and that’s when she put me on citalopram. When I got home that day, I did the most normal thing for me which was to look up the citalopram and find out and research about it. That’s how I learned what I had went through was general anxiety. Talk about a real eye opener. That day reading about general anxiety, it opened my eyes to a lot of things in my past I never realized before. It took several days to come to terms with what I realized in my past and how anxiety had always been there I just did not know, which was why I was over worrying about every little thing or over analyzing. I continue to take the medicine given to me for about a month or two. Until one day while looking for products for my auto shipment with It Works, I came across this one product called Confianza. I love to call it mommy chill pill! Which being a distributor with the company I read the information sheet and felt like it would be a better option for me since I could take it as needed because taking Citalopram long term was not an option I wanted to do. I have always been the person to seek out a natural solution if possible or deal without the help of meds. I of course talked to my doctor about stopping Citalopram and seeing if Confianza could be a good fit based on my medical needs and history. My doctor approved me taking Confianza as in the future we would not want me on Citalopram if I happen to get pregnant again. If anyone wants to learn more about Confianza just go to my blog website and click my It Works Store. I took time to sort out my past and the main reason I was so scared of driving that caused me going to the doctors to begin with. It turns out that the reason for my poor driving that night was due to over worrying and I went into hyperdrive. The deeper I dug I was able to relate my fears and worry back to my son with autism and had begun that path of isolating myself and my kids. My life has changed so much these past several months, almost a year since the first realisation of having anxiety issues. I went from being a stay at home mom working my side business, to a full-time working mom. To help me get over my fear of leaving my autistic son to let go and see if I could work a normal job again without him having meltdowns or running away from the person watching him. Working now seems like an option again as me going back to work helps with my stress and my anxiety and breaking that cycle of isolating myself in the house. I eventually stop and went back to be a stay at home mom because one of our cars broke down and we no longer had a second car for me to get back and forth to work. Now that I am a stay at home mom, I still work my side business but I have expanded and started blogging as a way to have an outlet and combined my passion of designing website, my side business and a way to share with people my journey in life as I dare to discover my life. Learning about self-development has been a game changer for me and my mindset, which in turn has helped my anxiety. Confianza aka mommy chill pill is my life saver!! I can take it as need and not get addicted to Citalopram as I read that can happen. To not use my autistic child as an excuse for my fears but to embrace it and just take things one day at a time! Life is full of ups and downs when it comes to just about anything. Anxiety is no different we just have to learn how to handle things that work for you and your family. Having the mommy chill pill is my life saver some days. There are days that I don't need my chill pill and that's okay because I don't need to take it every day. I am so thankful I got to share my story with everyone because I learned one way to handle your anxiety is sharing your story so other people realise they are not alone in this journey and there are people out there going through similar situations as you. Feel free to follow me on my socials that's on my website! Hey everyone, hope you're well! It's almost Easter bank holiday which means a few things... Chocolate and Bank Holiday's woop! Although I thought ahead and booked the whole of next week off work so I am very much looking forward to a chilled week, some fun adventures and creating lovely memories with friends. I wanted to write this blog post today because of a very proud moment for me - I got voted for the Highly Commended Well-being blogger in the UK Blog Awards 2019. | Here's the YouTube clip of my award - it should start playing at 53 minutes in. I actually filmed it on my phone whilst the lovely Jillian Ritchie was saying her amazing speech, and I felt that because I didn't blog as much as I would have liked the past few months I didn't think I'd get either the Highly Commended or the overall winner - I guess this shows that I need to believe in myself more! However, I was so grateful and excited to be included as a finalist and watching the awards ceremony was so exciting. In the video I recorded, when she then says the words 'Chloe Chats' I screamed, jumped up and down and cried a lot (I guess you could say I was pretty overwhelmed and shocked!) and my boyfriend who was sitting next to me and watching at the time pretty much did the same and said a few swear words hahaha so I won't share it out, it'll just be a video for me to have so I can look back on as it makes me laugh a lot - an amazing memory that I'll always have with me. All the bloggers in the well-being category are all amazing, talented, creative, who all should be proud of themselves, with me especially, I often don't realise how we are impacting people in such positive ways. Not just those that were in this category, or in the final etc of the Blog Awards but every single blogger out there is so special, amazing, just all-round brilliant at what you do and the impact you have on others around you and those that read your blog posts. We should all be so proud of ourselves, our accomplishments, our creativity that we put into our blogs and the hard work we all do. I would have given up blogging years ago if it wasn't for the amazing support of the blogging community. Of course, when I started blogging I had no idea about the community so it wasn't the reason that I started to blog in the first place, but it has made my blogging journey an unforgettable experience. Especially to the blogging community on Twitter, this platform is where I met some incredible bloggers and I even have come across some lovely bloggers who I now call my friends. If I'm having a bad day I know that if I chatted to some of the blogging groups I'm involved in, or even if I just tweeted out that I was having a bad day - I know that there will be so many amazing bloggers who will be encouraging and lovely to me. The support and encouragement that I get may that be from people interacting with me on any of my social media's, the blogging groups that I'm involved in, the interaction/comments that I get on my blog posts all mean the world to me. I also love supporting other bloggers, commenting on blog posts, chatting on social media, sharing others blog posts on social media, having amazing guest writers on my blog who share their stories, giving shout out's to others in some of my blog posts, I love to support others as much as I possibly can because I want the world to see how incredible you all are. I wrote about something similar before but I wanted to renew it but add to it. The reason I started a well-being blog to begin with is because I wanted to share my story and in doing so, I hoped that it would help others to feel like they could share their story or talk to someone about what they may be going through. I learnt that talking about what I was going through was a massive weight off of my shoulders, it made me realise that I had people around me that were willing to listen and help me as much as they could. It changed my outlook and mindset, and of course, I still have my bad days but I'm no where near that place I was in before. The big thing about blogging that I found helpful was just being able to write down my thoughts and feelings. Writing for me is extremely therapeutic, it helps me reflect, it helps me gather my thoughts, it helps me be creative and gives me a purpose. I've always enjoyed writing, ever since I was a little kid, I would write so many stories, I had even hand-written a story that went across two full notebooks and it's still incomplete, but I just loved creating stories. I chose to do English Literature as an A Level at school because I loved/love it so much! Sometimes I think back to the days where I would sit and write stories and I think to myself, why did I stop? But I haven't really, I'm still here writing away but it's just in a different format, it's on my blog instead. I don't think I could ever lose interest in writing and who knows, maybe that'll be my career one day. I know not everyone is interested in blogging or writing stories, but even if you have a special notebook that you keep by the side of your bed where you can write down your thoughts of the day, writing down any positives that may have happened that day, or writing down the negatives but carrying on to see the positives in those negatives or what you can do to change them. You might not be someone that's got an interest in this and can't see how it can help you if you're struggling, but I would really recommend giving it a try, after all, you don't know until you try it. I'd start by writing down 3 positives that have happened or are going to happen every day and that way it's something you can look back on, and it can really make a difference of how you see things. The great thing about blogging as well is you can write about so many different things. You can write about what you're interested in, may that be travelling, gaming, art, sharing photo's, reviewing books or films, jotting down about what you get up to day to day - there's so much that you can talk about, and being a part of a blogging community you'll be able to find groups that talk about the same things, and from there you can make some wonderful friends. I know that when I moved out of my home town to a city where I knew no one but my boyfriend I found it pretty lonely for a while, I couldn't see my friends as easily as I could have before, and I couldn't just walk downstairs and chat to my family, so having the blogging community helped me feel less lonely, knowing that I had people I could speak to every single day. Of course, blogging is not something that everyone does or wants to do, there's other hobbies that you can take up where you can meet others with similar interests, finding something that gives you a purpose is always so helpful for your mental well-being. It can even be something small but keeps you busy every so often - could be that you have a pet cat that needs feeding 2-3 times a day, that'll be in your thoughts and therefore gives you a purpose every day. Going off track a little, but that's why it is well known that pets can be super beneficial for your mental health - I wrote more about it last year which you can read here. 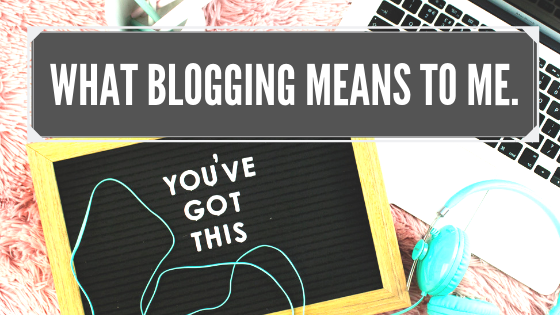 Do any of my fellow bloggers feel the same about blogging? Let me know in the comments below! Hey everyone, hope you're well! I thought I'd write a post on something that really gets me thinking, it's something we all do, but is it completely negative? Of course, we won't all have the same views on this, with this in mind, I'll be exploring the negative and the positives from the feeling of regret. Have you ever used the phrase, "I regret not doing that." Or something along those lines? I've definitely said it a few times in my life that I regretted not doing something, but thinking about those times, is it something that can be picked up again? Or was it something so small that really didn't matter and we should stop worrying about it. 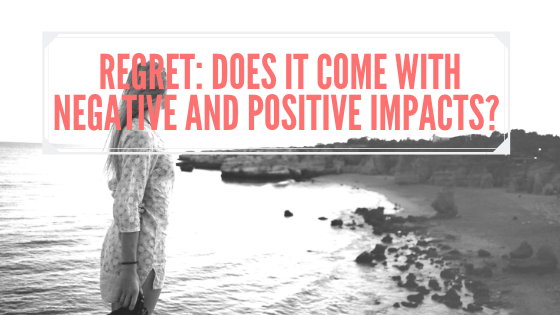 There's lots of people out there that say we shouldn't regret anything we do or don't do, but how many of us actually do have this feeling of regret? The dictionary explains that the word 'regret' is a "feeling of sadness, repentance, or disappointment over an occurrence or something that one has done or failed to do." It's seen as an extremely negative word, so it's often a word we use when we're feeling disappointed about something we haven't managed to do or have done. Regret can be closely linked to shame and guilt, because we might do something that we feel guilty about or ashamed of. The funny thing us humans do, is even if the alternative decision to what we chose to do or did not do, can often be something that's highly impossible or improbable - this then causes us to experience self-blame and feel disappointed in ourselves, we like to give ourselves are hard time. There's different kinds of regret though, someone could feel regret for one or two particular incidents where maybe you made the wrong decision or you could have handled something better. Another type of regret could be that you regret how you spent part of your life, or maybe you chose a different career path or a different route to go down, but later in life you regret that decision. The emotion of regret can be something that hangs over us for a while, we might not think of that particular 'regret' every single second of the day, but it can every so often fill your thoughts, perhaps when you're having a bad day. But again, I feel this links with the long-term regret of wishing we chose a different path - just as an example. Regret can also be short-lived, maybe when you were choosing what takeaway to have you regretted that you didn't go with pizza instead! Have you noticed something? Regret seems to always be linked with the past, and unfortunately with that, it means we cannot go back in time to change our steps and thoughts, we can only change them through working on them for the future, and taking the different steps now to slowly get you back on the path that you once regretted not taking. Of course, that doesn't work for everything, it's not like you can revert eating that Chinese and swapping it with a pizza - but you can decide to have pizza as your next takeaway choice. Can regret be a good thing? If you think about it, when we regret something we often learn from the experience and improve future decision-making skills. It can be seen as something that pushes us to work harder or motivates us to not give up. It hands us a learning curve, we have learnt that next time a similar choice appears you might have a better understanding or do something a little different because you know that outcome will make you feel happier. However, should we have this negative emotion to teach us a lesson? We can find motivation and to push ourselves more without regretting something. With regret being such a negative emotion it can often affect our mental health because of the affects it has on our happiness. Sadly, because regret can often cause people to feel shame, sadness or remorse about decisions it can lead us down a negative spiral, and it can be something that people really struggle to cope with. We're all different, and some of us can struggle finding the motivation, or the positive outcomes from those things we once regret. I asked ~ What are people's thoughts on regret? Do you think it positively impacts our future decision-making skills and gets us to work harder, or do you see it as negative because it makes us feel disappointed in ourselves, guilty or even ashamed? Or a bit of both...? I definitely agree with all of the points mentioned by others. Regret is a negative thing to get caught up in, if you have regret on your mind and it's causing you stress and making you feel unhappy all the time then it can lead to a negative spiral. However, I also feel that it can help us in the future, it gives us that learning curve for next time, it can make us feel differently about something that we may come across again in the future. It's all about twisting things into positives, there's always a positive to come out of something. What are you thoughts? Let me know in the comments below! Hey everyone, hope you're doing well. I've had a hard time lately finding motivation and inspiration for my blog and that makes me very sad. But, as many of my lovely blogger friends have said, it happens, and it'll come back to me. With that in mind, I thought I'd do some research and find inspiration because it's not always something that magically comes to you. I know that I mainly blog about well-being on my blog, but I also have a bit of a mixture and talk about some fab food that I've tried (Loretta's cookies), and some more informative posts about special occasions (what is the history of Valentine's Day). I think for me I find inspiration and then proceed to write about whatever that subject may be, what do you guys do for coming up with blog post ideas? I have spent the whole morning (it's now 12 - time for lunch me thinks!) reading others blog posts and it's been a lovely morning, and also inspiring as I mentioned in my lack of inspiration post that a good way to find inspiration with writing blog posts is reading other bloggers posts - of course, not copying word for word, but just getting a few ideas and themes! 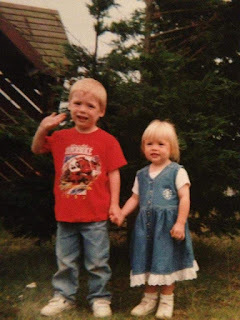 Anyway, for this post I wanted to write about what life events shaped me into the person I am today. I was thinking about what kind of post I felt like writing, and I wanted to write something a bit more personal for today. I always find that when I write personal posts I find it more therapeutic, because I feel like it gets me thinking more about my life and what things I have overcome to get to where I am today. (Related post: 12 lessons in 12 months). 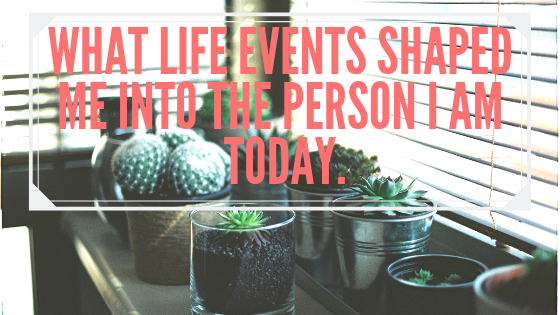 What life events shaped me into the person I am today? #1 The loved ones around me have been/still are, encouraging and allow me to be me. I've been fortunate enough that growing up no one has stopped me from doing what I want to do in life. I picked what secondary school I wanted to go to, I picked what A Levels I wanted to do, I picked what University I wanted to go to and what course I wanted to study. Even when I had a hard time when I first went to University and wanted to leave, that was all my decision, I left because I wanted to, and same with going back to University, I went back because I wanted to. I moved out of my family home in 2018 to move to Birmingham with my boyfriend and everyone was supportive of that. I know to some this might sound strange, you might think, surely it's pretty normal to make your own decisions for all of these things? However, there's many people out there that are less fortunate, may it be that a parent might want you to get into a certain career so push you towards a certain degree. So, with that in mind, I know how lucky I am in that aspect and I appreciate all the love, support and encouragement through all of that. #2 The whole university experience. 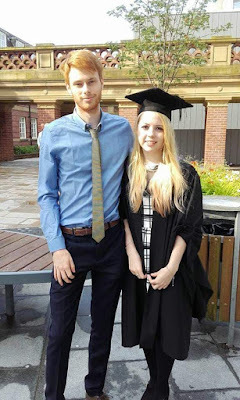 As I've discussed before on my blog (anxiety at university), I struggled a lot at uni. I went for a week and then left because my anxiety was so bad, but I soon realised that it's something that I really wanted to do and I didn't want my anxiety to get in the way of that. So, I went back and of course, going back with that mindset it's not like I just lost all of my anxiety and went through university all fine and dandy. It was tough, my first year of uni was really difficult, I had many panic attacks and I barely went into the communal kitchen. Luckily I made some amazing friends, and met my lovely boyfriend, so by the end of first year and going into second year I felt more relaxed. For anyone going off to uni it's a difficult decision and of course, going from school to uni is a massive difference. You go from living at home, having dinners cooked for you, your washing done by your parents, all the things that parents do for their kids growing up, then you go off to uni and you do all that by yourself, you pay bills, you've gone from not much responsibility to pretty much everything being your responsibility. #3 The struggle with my anxiety. I've struggled with anxiety all my life and because of that, of course it's had some affect on the person I am today. I've had times where anxiety has stopped me from doing things - uni, events, giving up on opportunities, hobbies etc. There's so many things in my life that I've said 'no' to because I felt too anxious. However, that said there's things that have helped me and things that I have said 'yes' to that a once in a lifetime moments. 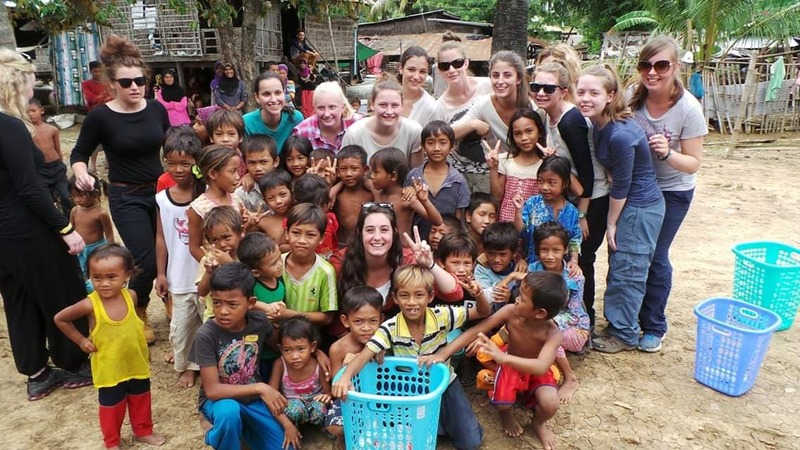 - Back in 2013 I made the decision to go to Cambodia to help with a few villages, teach kids, and help re-build a school. I was 18 at the time and I had never done anything like it. I hadn't been abroad without my parents before and now I was going to fly for 13 hours without my family to a place I had never been before. I went with an expedition company with a few people from my school and my thought was if I could do that, I could definitely go to university. The morning that I had to get to the airport I left my parents at school where I got a coach to the airport - it was very early in the morning, but I felt so sick, probably down to being tired and also incredibly anxious. But, nevertheless, I did it. I had an amazing time, it was an experience I'll never forget and I'm so glad I said 'yes.' The experience taught me that I should grab the opportunities that come by, even if I know I'll be anxious, it'll be worthwhile if I take it, and it'll be life experiences that I'll never ever forget and always cherish. #4 I couldn't not mention my blog in this post! Of course, starting my blog is a massive event that happened in my life that I am so grateful for. I'd started a blog back in 2013 that I dedicated to my travels in Cambodia, and after it turned into Chloe Chats - just a chatty blog that I did for fun. 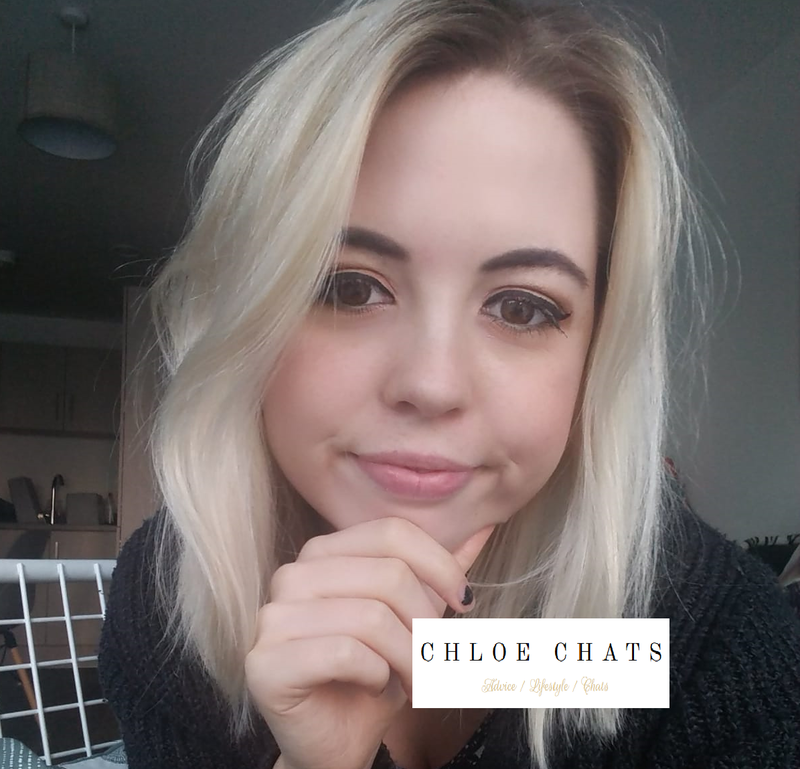 But, in 2018 at the beginning of the year, I re-started, and kept Chloe Chats but it turned into a mental health and well-being blog. I decided to write about 'my story' and everything that I had learnt about anxiety, and what amazing things had been helping me. As mentioned before in my post How blogging has helped my mental health, talking about what I was going through really helped me. From December 2017 through to April 2018 I struggled a lot with my mental health, I made myself physically ill because of it, and I knew I had to do something about it, and blogging was something that kept me going, helped me feel like I had a purpose, gave me a platform to be able to write down what was on my mind and how I could overcome it. I hope you found this post interesting, I really enjoyed writing it. Of course, I could probably list loads more life experiences but I've kept it at those that I have felt have been the biggest life events that have helped shame me into the person I am today. Let me know in the comments below something that has helped shape you into the person you are today! 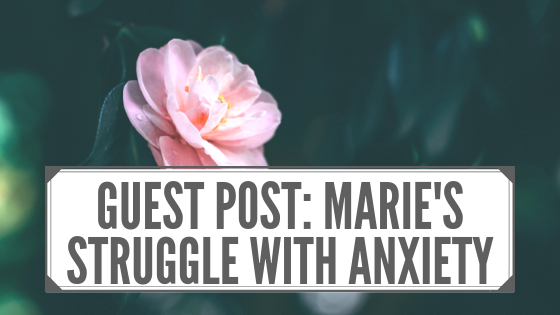 Guest Post: Marie's struggle with anxiety.